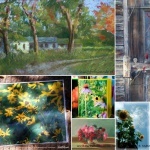 This entry was posted in Nature and Wildlife Sampler Box, nature artwork, photographs, Sampler Box and tagged AUTUMN, autumn artwork, landscapes, nature & Wildlife, nature and wildlife, nature and wildlife sampler box, nature artwork, nature photography, sampler box on September 23, 2017 by Bernadette. 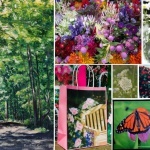 This entry was posted in Nature and Wildlife Sampler Box, nature artwork, note cards, original artwork, pastel, Sampler Box, wildlife art, wildlife merchandise and tagged flowers, gardens, nature and wildlife sampler box, nature artwork, nature photography, sampler box, trails, wildlife artwork, wildlife photography, woods on July 8, 2017 by Bernadette. This entry was posted in Nature and Wildlife Sampler Box, Sampler Box and tagged gift items, nature and wildlfie artwork, quarterly sampler box, sampelr box subscription, sampler box on June 21, 2017 by Bernadette. 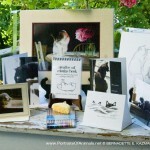 This entry was posted in Feline Sampler Box, Sampler Box and tagged animal artwork, cat art, cat artwork, cat merchandise, cat sketches, cats, digital prints, feline artwork, feline sampler box, framed art, giclee prints of pastel painting, sampler box, sampler box subscription on July 27, 2016 by Bernadette.